If you are like most people, you are reading this as part of your research in a purchasing decision of what dispatch furniture to buy for your 911 Comm Center. I would estimate that 99% of the shoppers out there want to get the best value for their dispatchers, techs and taxpayers. 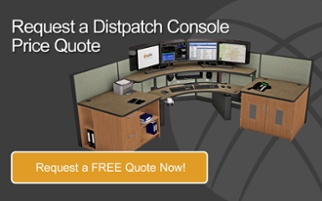 Asking how much a dispatch console or dispatch workstation costs is a great question, but there is no simple answer. Let's use a car analogy to help better understand the complexities of the question. The purchase of dispatch furniture is similar to purchasing a car. Anyone who has shopped for a car quickly comes to realize that they have a large price range for the exact same model. Let’s take for example the new 2014 Chevrolet Lumina. This is a great car. The pricing can run anywhere from about 26K up to 42K depending on which options and features you select. The upgrade options usually consist of improvements to the power, fit, feel, and finish. More deluxe or specific options include: a stronger engine, leather seats, heated seats, sunroof, OnStar navigation, satellite radio and more. Like many of you, I spend about 30 minutes minimum in my car each day. The length of time I spend in my car is one of the primary influencing factors in helping me decide what options I need or want to buy in a car. I also frequently drive to the mountains to go skiing many weekends during the winter. Therefore, I need a car which has 4 wheel drive, and room for my kids and my ski gear. The extra cost of 4 wheel drive is well worth it for the added safety of myself and family. Like most of you, I will buy the options I need, after careful evaluation. All the while, keeping in mind that usually it is difficult to add after-market options at a later date, or it is too expensive compared to buying at time of purchase. The same evaluation process of buying a car is done by many of our customers when shopping for dispatch furniture. You want to get the best value, but, what options do you need? 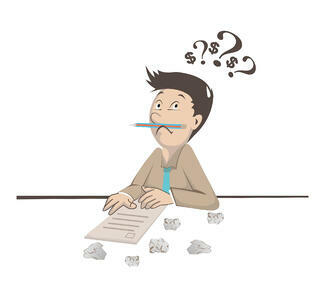 You are probably wondering will the least expensive option supply you with what you need? Will the most expensive option really be worth the extra cost? Getting it wrong could lead to years of regret. Let’s review what options are typically available so you can pick what will work for you and your budget. As you can see, there are many options available when purchasing dispatch workstations and there are many more options available beyond this list. At Xybix, we know that understanding a furniture quote can sometimes be the most confusing part of purchasing new dispatch furniture. That is why we feel it is important to be up-front with all of our customers. Quotes should be broken down into line item format, so you can easily review the quote with your team and make sure you are getting everything you need for a successful and worry-free project. Make sure when you receive a quote that it includes freight, and clearly states if the cost of installation is also included. Keep in mind, that shipping costs will vary based on the location of the furniture vendor. Xybix is located in Denver CO, therefore, shipping to Caribou, Maine is more expensive than shipping to Kansas City, Missouri. Another important cost consideration to keep in mind is that some of you, (California) have tax on products sold to your own government. Remember, these are per-station ballpark numbers to get you started. *All of the prices below will include both the estimated freight and install. This can include dual-surface height-adjustment, computer storage, extension cables, focal depth adjustment for monitors, side work surfaces, and our full design service. This can include dual-surface height-adjustment, computer storage, extension cables, focal depth adjustment for monitors, side work surfaces, and our full design service. You can add on options of Personal Climate Control, Acoustical Panels, LED Task Lighting, Personal Storage, and additional storage features around the room. Often times, these are smaller rooms which require customized cabinet work or special work surface designs. Treadmills and exercise bikes are also becoming popular added option in this “top level” category. If the dispatch center is going to design the entire room around the dispatch furniture and all the accessories available it can raise the per station price to this level. As you can see, the prices of dispatch consoles and dispatch workstations vary a LOT! Selecting a furniture vendor who is open and honest with pricing and who can help you to pick the best options, features, and design for your center is invaluable. The design and 3D rendered layout of your center is a free service from Xybix and we will be happy to provide you with the exact project details along with a quote for you to move your project forward.